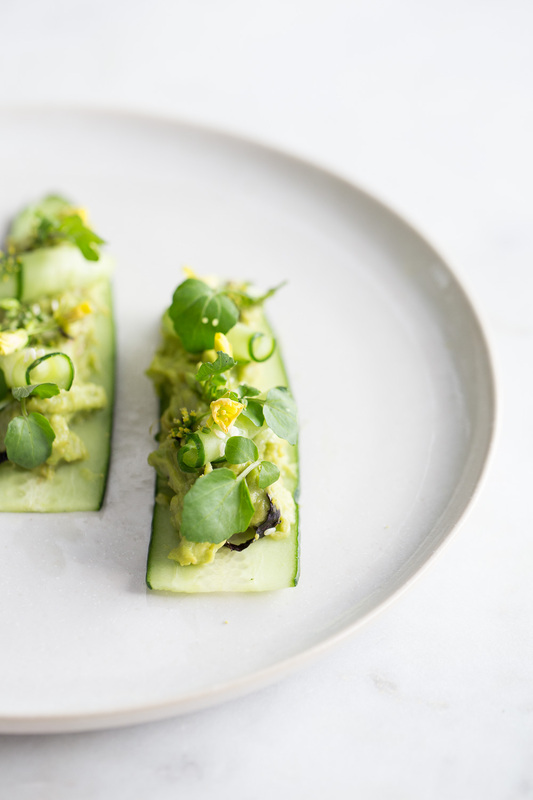 Place 2 Tbsp of avocado guacamole on each 10 cm cucumber length. 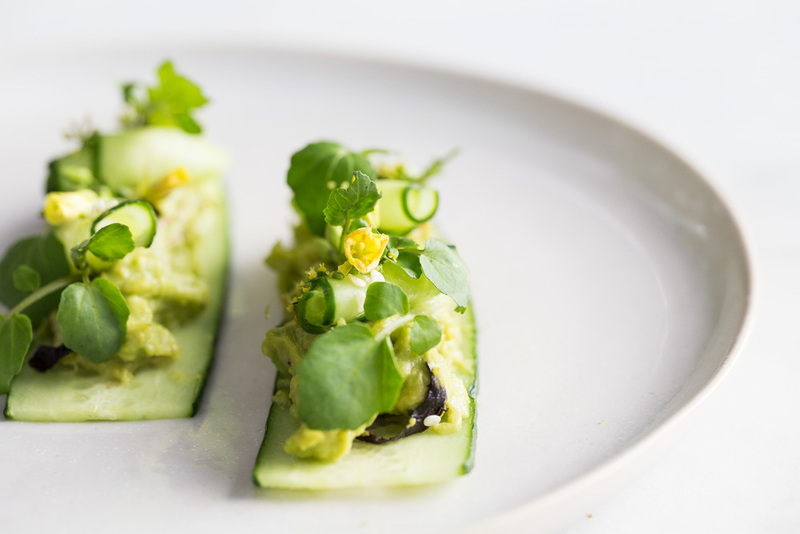 Top with shallot, watercress, rolled cucumber pieces, nori strips, white sesame seeds and edible flowers. 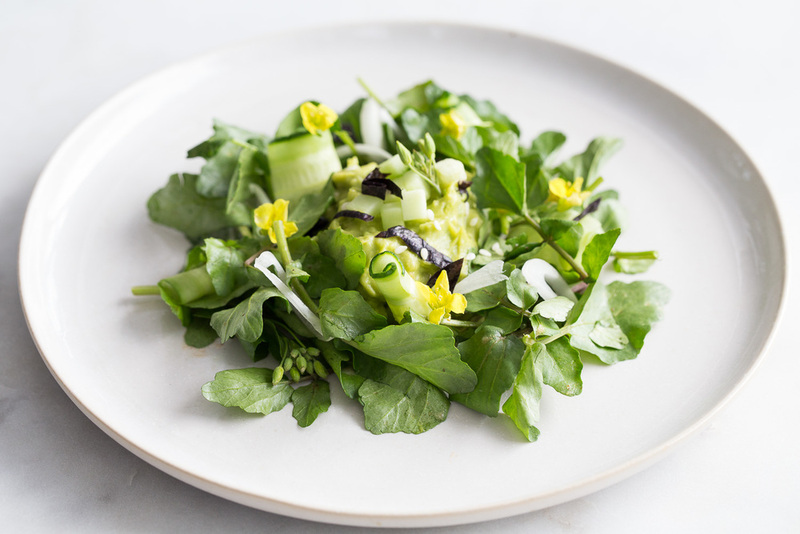 Dress watercress and shallots in a bowl with a small amount of the vinaigrette below. Roll cucumber as shown in the photos above. 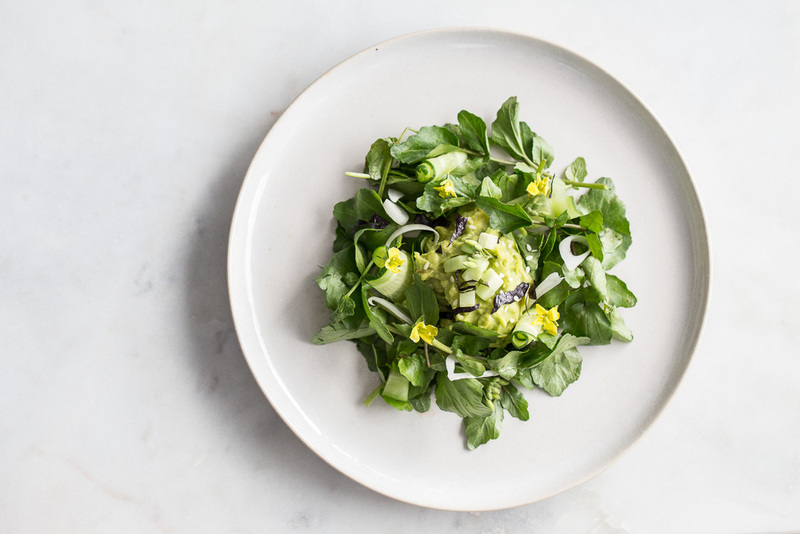 Place half the avocado mixture in the middle of a plate and surround with the watercress and shallots. Insert desired amount of cucumber rounds at random in the salad. Garnish with sesame seeds, nori strips and edible flowers. 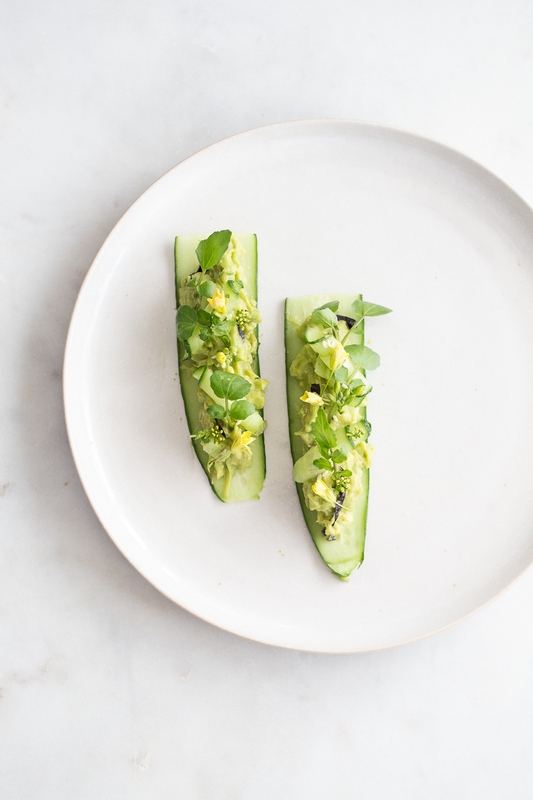 Smash avocado with the back of a fork and then mix in the other ingredients. Mix all ingredients in a high speed blender.